James J. Morici Jr. graduated from Chicago-Kent with high honors with the class 1979. After working at the Cook County State’s Attorney’s Office as an Assistant State’s Attorney, he has been successfully practicing personal injury law at Morici, Figlioli & Associates, which he co-founded in 1998. Jim has also been part of the adjunct faculty of John Marshall Law School, Loyola University School of Law, and Triton College. He is also currently serving on the Chicago-Kent 125th Anniversary Gala Host Committee. As students return from their Winter Break, I look forward to welcoming Chicago-Kent’s alumni back during our celebrations to mark our 125 years of accomplishments. Our biggest event of the year, the 125th Anniversary Gala, takes place this month. On Saturday February 23, we will gather at nearby Union Station to mark our storied history. Please reach out to former classmates to encourage them to attend and alert Alumni Relations so that you may all be seated together. This should prove a wonderful occasion to rekindle old friendships and reconnect with Chicago-Kent during an evening of Second City, music, dancing, fine food and excellent company. Other opportunities for involvement await. One important avenue is to help us recognize the accomplishments of your fellow former classmates. To further Chicago-Kent's commitment to serving the public interest, please consider nominating a fellow alumnus/a or organization that demonstrates outstanding public service leadership for one of our 2013 Public Interest Awards. Nominations are due February first. Another critical way to help is by becoming an Alumni Ambassador. You would assist the school by contacting admitted students to answer their questions about the law school as they consider, and we hope accept, our offer of admission. See you on February 23rd! 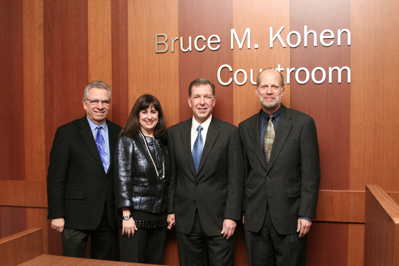 On Thursday, January 24th, Chicago-Kent proudly opened the Bruce M. Kohen Courtroom followed by a reception attended by more than 200 faculty, alumni, and current students. Bruce M. Kohen (’79), class of 1979, is a retired managing partner at Anesi, Ozmon, Rodin, Novak & Kohen, Ltd, and a vocal supporter of advocacy skills training at Chicago-Kent. The courtroom is a 738-square-foot, state-of-the-art facility designed by award-winning architect Thomas Rosak, a 1989 graduate of Illinois Institute of Technology's College of Architecture. The courtroom will be used for classes, as well as competition practice by Chicago-Kent's trial advocacy and moot court teams. 2013 marks the 125th anniversary of Chicago-Kent. Here are some ways to help us celebrate! Submit alumni memories and stories to be featured online at www.alumni.kentlaw.edu/125stories. Nominate fellow alumni for our 125 Alumni of Distinction: www.alumni.kentlaw.edu/125nomination. Join us on February 23 for the 125th Anniversary Gala at Chicago Union Station: www.alumni.kentlaw.edu/125gala. Learn more about our 125th Anniversary Celebrations at www.alumni.kentlaw.edu/125. Send Us Your Old Chicago-Kent Photos! The Chicago-Kent College of Law Alumni Association is looking for old photos from your time in the law school. If you have any photos you would like to share, please send them to alums@kentlaw.iit.edu. If you have any questions, please feel free to get in touch by email, or by calling (312) 906-5240. The 2012 IIT Chicago-Kent College of Law/Roy C. Palmer Civil Liberties Prize has been awarded to Brooklyn Law School professor and national ACLU president Susan N. Herman. In her book, Taking Liberties: The War on Terror and the Erosion of American Democracy, Professor Herman explores both the general social costs as well as the human costs of the War on Terror a decade after it started. The prize was established in 2007 by Chicago-Kent alum Roy C. Palmer and his wife, Susan M. Palmer, to recognize scholarship exploring the contemporary tension between civil liberties and national security in America. Chicago-Kent is pleased to welcome Katie Aune as the new Director of Alumni Engagement, a position formerly known as Director of Alumni Relations. Katie comes to us from the DePaul University College of Law, where she was Director of Alumni Relations and then Associate Director of Development. Immediately prior to coming to Chicago-Kent, Katie spent a year traveling and volunteering her way through the former Soviet Union. Katie is excited to be settling down after her year of travel, and looks forward to connecting with alumni. Plans are in progress for a social media Q&A with Katie in the future, and she hopes alums will get in touch with any questions or thoughts they might have. Help us celebrate alumni who devote their careers to the public good by nominating a fellow alumnus/a for The Honorable Abraham Lincoln Marovitz '25 Public Interest Award or the Outstanding Pro Bono Service Award, or an organization for the Public Interest Partner Award. Submit your nomination by Friday, February 1, and save the date for the 6th annual Public Interest Awards Night on Thursday, April 25. Throughout 2013, IIT Chicago-Kent College of Law will celebrate 125 Years of Distinctive Legal Education. In recognition of our vibrant alumni community, we are collecting nominations for 125 Alumni of Distinction, alumni who are trailblazers, innovators, or outstanding examples of what graduates from Chicago-Kent can achieve. Nominate a classmate, colleague or alumni mentor today: www.alumni.kentlaw.edu/125nomination. On Friday, February 22, Chicago-Kent will host LGBT Civil Rights Symposium: We Are Not Alone. From 3 to 6 p.m., the community will gather to discuss a number of topics, including LGBT in the workplace and the legal landscape of marriage equality. Additionally, "Repentance," a short, original playette by Professor Hank Perritt, will be a topic of discussion. Illinois MCLE credit hours are available at this event, and a cocktail reception sponsored by the Chicago-Kent LAMBDAs will immediately follow the symposium. Please be sure to register online. Friday, February 8, 2013 | 6:00 p.m.
Tuesday, February 19, 2013 | 5:30-9:30 p.m.
For details and to RSVP, please visit the Chicago-Kent IPLS website. Saturday, February 23, 2013 | 5:30-11:00 p.m.
Tickets available now! Click here to purchase tickets online. Contact alums@kentlaw.iit.edu if you are interested in sponsoring the event. Saturday, February 23, 2013 |11:00 p.m.-3:00 a.m.
For details and to RSVP, visit www.alumni.kentlaw.edu/125afterparty. Wednesday, February 27, 2013 | 5:00-7:00 p.m.
RSVP to alums@kentlaw.iit.edu or (312) 906 5240 by Feb. 22. Chicago-Kent alumni have been invited to this event, hosted by the IIT New York City Alumni Chapter. Spots are full for this year's Swearing-In. Visit www.alumni.kentlaw.edu/supremecourt for more information. Friday, February 22, 2013 | 3:00-6:00 p.m.
A reception will immediately follow the symposium. 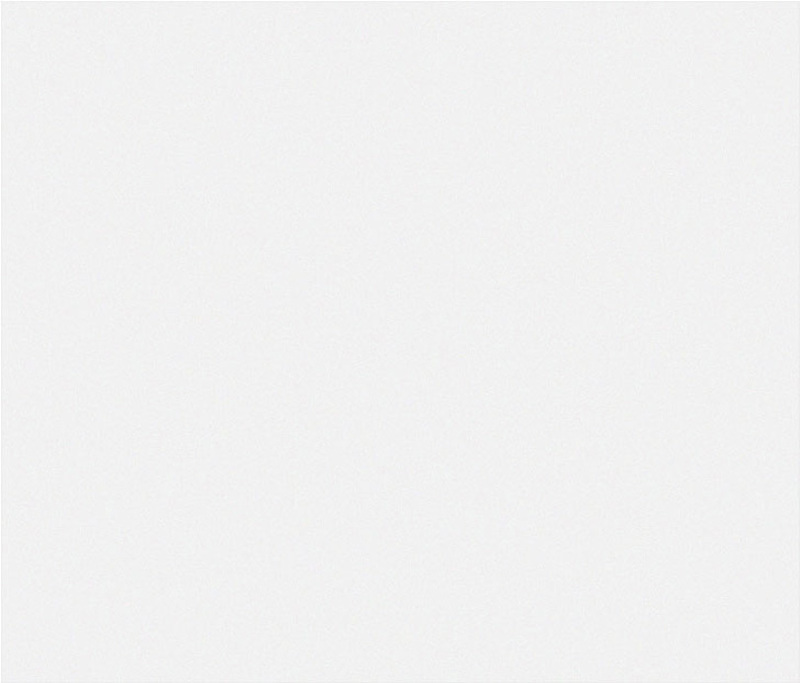 Thursday, February 28, 2013 | 3:30-5:35 p.m. Eligible for 2.0 hours of IL MCLE credit. Eligible for up to 10.5 hours of IL MCLE credit, including 2.0 hours of ethics. Tuesday, March 12, 2013 | 10:30-1:00 p.m. Eligible for 1.0 hour of IL MCLE credit. Thursday, March 28, 2013 | 3:30-5:35 p.m. Eligible for 6.0 hours of IL MCLE credit. Eligible for 11 hours of IL MCLE credit. Thursday, April 18, 2013 | 3:30-5:35 p.m.
On Thursday, January 24th, Chicago-Kent welcomed Bruce M. Kohen, family, and friends to celebrate the opening of the Bruce M. Kohen courtroom. Over 200 faculty, alumni, and current students came to celebrate at a reception held after the formal dedication ceremony. The courtroom, located on the first floor of the school, will be used not only for classes, but for competition practices practice by Chicago-Kent's trial advocacy and moot court teams as well. Please keep an eye out for more photos to come. On Wednesday, January 30, the Chicago-Kent Law Review Alumni Board held a Law Review alumni and student networking event. The event, held on the 10th floor, was attended by over 40 former or current members of the Law Review. Over drinks and hors d’oeuvres, students and alumni were able to network and get to know each other. Thank you to all who attended! (L-R): Hon.David Erikson, ,Sheri G. Kohen, Bruce M. Kohen, & Dean Harold J. Krent. Have a fun evening with fellow alums and celebrate 125 Years of Distinctive Legal Education at the 125th Anniversary Gala on Saturday, February 23 in Union Station’s Great Hall. Attendees are encouraged to request seating at tables with friends and former classmates. To purchase tickets, visit www.alumni.kentlaw.edu/125gala.